Korean girl group Red Velvet successfully completed Japan's first Arena tour. Red Velvet finished their solo concert at Arena in Yokohama on 29th to 30th, the finale of the Red Velvet Arena Tour was successfully finished in Fukuoka, Kobe and Yokohama and it was been really greeted by their local fans. 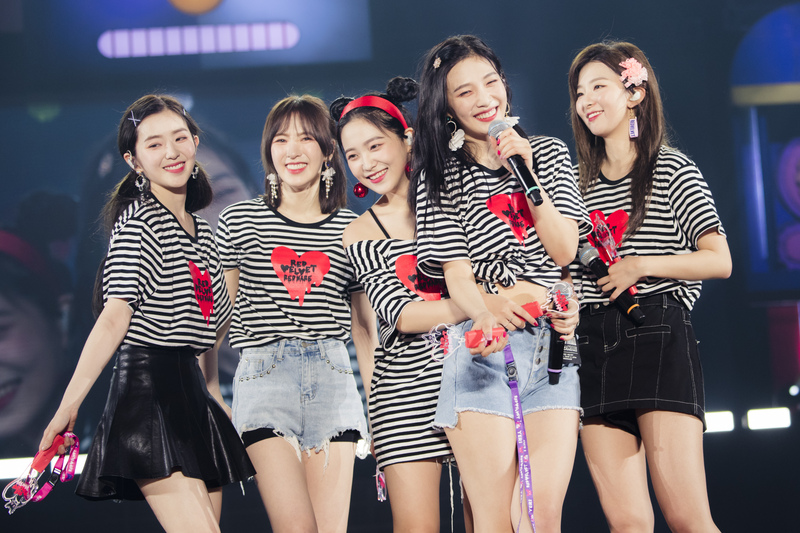 In this concerts Red Velvet performed their title song “happy”, “Rookie”, “Bad Boy”, “Pikaboo”, and “Power Up”, The Japanese mini album title song "#Cookie Jar", "Russian roulette" and Japanese version of "Red Flavor" all the 24songs are attracted audiences with unique addictive music and refreshing performances. The first Japanese mini album "Atai-Tai" and the Japanese digital single "Sappy" were released for the first time, and lot of fans were paid attention of the Japanese new digital music teaser "Sayonara" was surprisingly released, which is scheduled to be released on Feb 20. Red Velvet will continue to perform in February with the Red Velvet 2nd Concert [REDMARE], the first North American tour to be held in seven cities including LA, Dallas, Miami, Chicago, New york, Toronto, and Vancouver.